Using ISSR-PCR approach, the genetic structure of G. conopsea populations have been studied in the Komi Republic (Russia) at the northern boundary of its range, where the populations have a high level of phenotypic variation. It was established that the reaction of G. conopsea specimens to the lack of heat was expressed as a decrease in the most plastic phenotypic traits (shoot height, inflorescence length, number of flowers, leaf size) and determined a clear morphological differentiation in karst landscapes of the Timan Ridge with different temperature conditions. Two ISSR primers made it possible to reveal 839 loci, 37.79% of which were polymorphic. UPGMA analysis divided the pool of G. conopsea populations into two clusters: populations from the limestones of Timan (180 plants) and population from the Mezen-Vychegda Plain (20 plants). 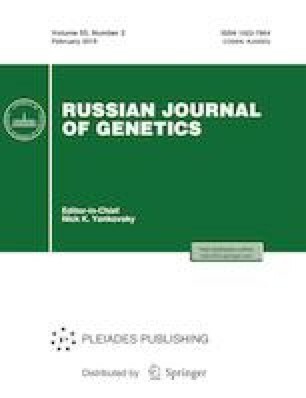 The assessment of genetic variability revealed the decreased parameters in the G. conopsea population from the Mezen-Vychegda Plain (P = 26.94%, He = 0.050, Is = 0.084). At limestones of South Timan, the species had both highly variable populations (P = 55.5–60.6%, He = 0.084–0.089) and populations with decreased parameters of genetic variability (P = 29.3–29.6%, He = 0.053–0.059). Despite the high diversity of karst landscapes and territorial fragmentation of the populations, we found a low level of interpopulation differentiation (F = 0.017–0.036) and strong genetic flows between the populations (D = 0.007–0.020, I = 0.980–0.993). A Mantel test did not show a correlation between the genetic and geographic distances among populations (r = –0.047; p = 0.04). A majority of the revealed genetic variability was realized inside the populations. The share of interpopulation variability was only 14%. An analysis of genetic relationships based on the Structure v2.3 software program allowed us to divide the samples according to two geographical areas and to suggest that in South Timan there are at least four separate groups differing in ISSR markers. No clear dependence between the type of karst landscape and genetic variability of the populations was detected. We are especially grateful to Dr. Ivan Fedorovich Chadin (Institute of Biology, Komi Scientific Center, Ural Branch, Russian Academy of Science) for his help in statistical data processing, exchange of ideas, and support, and we are also grateful to Marina Vladimirovna Protopopova (Siberian Institute of Plant Physiology and Biochemistry, Siberian Branch, Russian Academy of Sciences) for valuable comments during the preparation of the article. Expeditionary trips, purchase of reagents, and the necessary equipment for the study were supported by the Russian Foundation for Basic Research, grant no. 16-34-00608 mol_a. The work was performed within the scope of the state task “Structural and Functional Organization of Plant Communities, Diversity of Flora, Lichen Biota, and Mycobiota of the Southern Part of the National Park Ugyd Va” (no. AAAA-A16-116021010241-9).